The Huntington, Ind., Corps and officials from the Indiana World War I Centennial Commission joined members of the Huntington community for a celebration of one of their most famous residents: Helen Purviance. 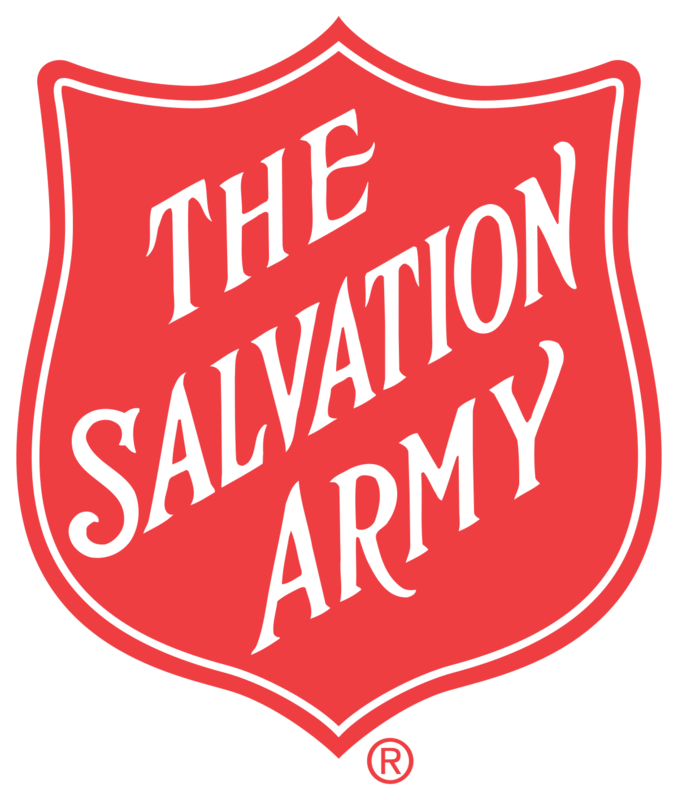 She was one of the first Salvationists who was sent to the frontlines in France in 1917 to aid American soldiers and is best remembered as the iconic Salvation Army doughnut girl. The commemoration brought together civic and community leaders, who helped retell Ensign Purviance’s story and the impact the donut girls had on the young men facing despair and homesickness in the trenches of France. 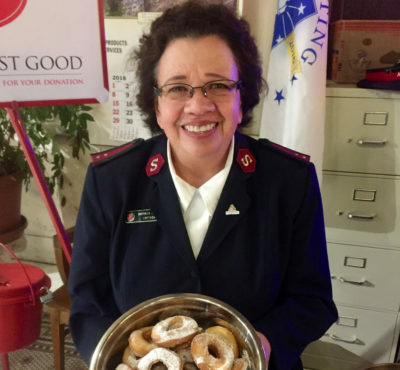 Using Helen’s original recipe, the Daughters of the American Revolution (DAR) fried hundreds of donuts for the event, while students from Huntington University dressed as donut girls and passed out the treats. The local historical museum exhibited WWI artifacts and a collection of doughnut girl images that showed the young women serving alongside American doughboys. Indiana WWI Centennial Committee Chair Jim Corridan shared with the crowd that Helen’s portrait currently hangs in the Governor’s office in Indianapolis. Huntington Mayor Brooks Fetters and Huntington County Commissioner Larry Buzzard presented to Captain Dennis Marak, corps officer, and Major Beth Petrie, Indiana divisional secretary, an official proclamation recognizing Purviance’s bravery and compassion in the face of great danger. 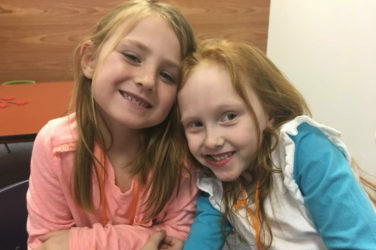 A new permanent exhibit in the local library was unveiled, highlighting the imagery surrounding the iconic doughnut girls and artifacts of Helen’s service. 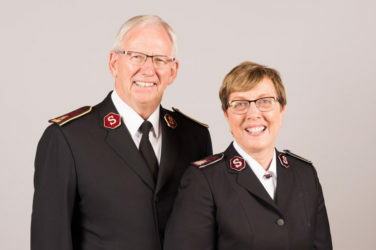 The doughnut girl exhibit is only one of the ways Captains Dennis and Antonia Marak, corps officers, are working to increase The Salvation Army’s visibility in Huntington. Weekly Bible study, women’s ministries groups, corps cadets and junior soldier classes engage corps members, while a long-running basketball program for teens brings over 300 people into the corps on Saturdays in the fall. 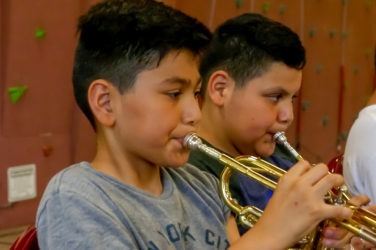 A twice-weekly archery program for kids has been an instant success, and the captains are looking forward to the start of a music program featuring ukulele lessons this fall. In addition, Captain Dennis goes on Saturday morning bike rides with the mayor and other community members and leaders, and they continually work with the advisory board to identify opportunities for further engagement and fundraising. “We’re really working to get out there and make the Army’s presence known,” concluded Captain Antonia.